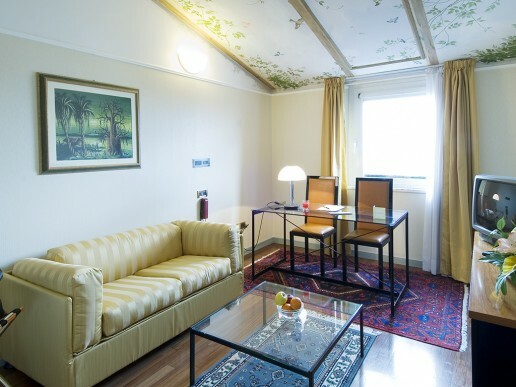 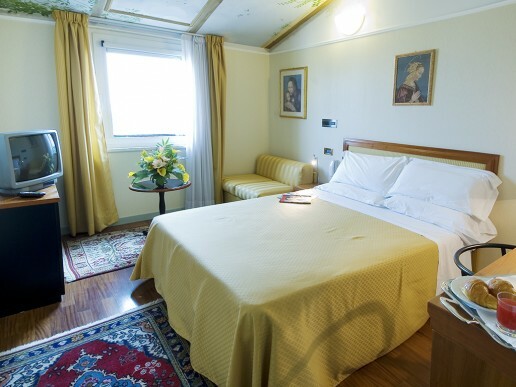 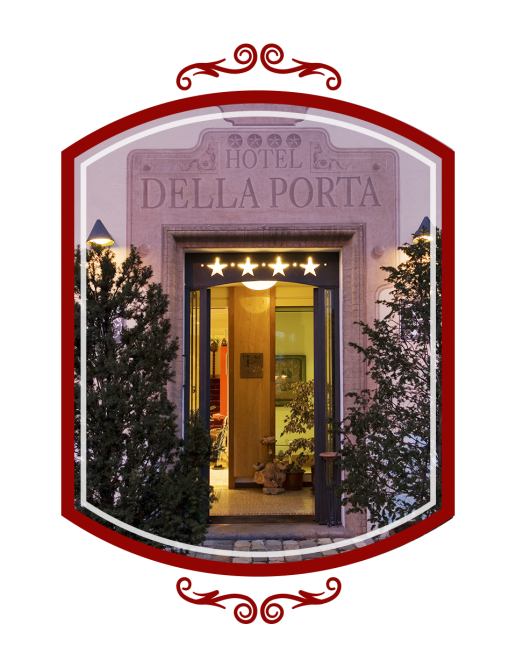 The Hotel DELLA PORTA opened in 1991 after careful renovation and internal restructuring. 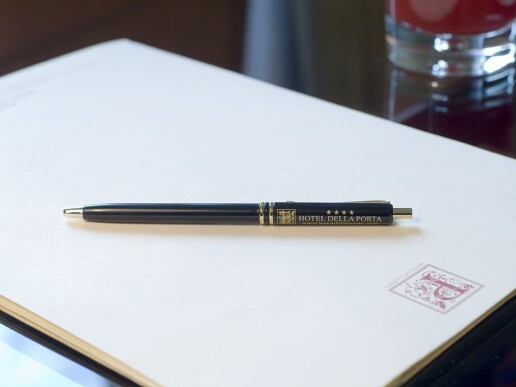 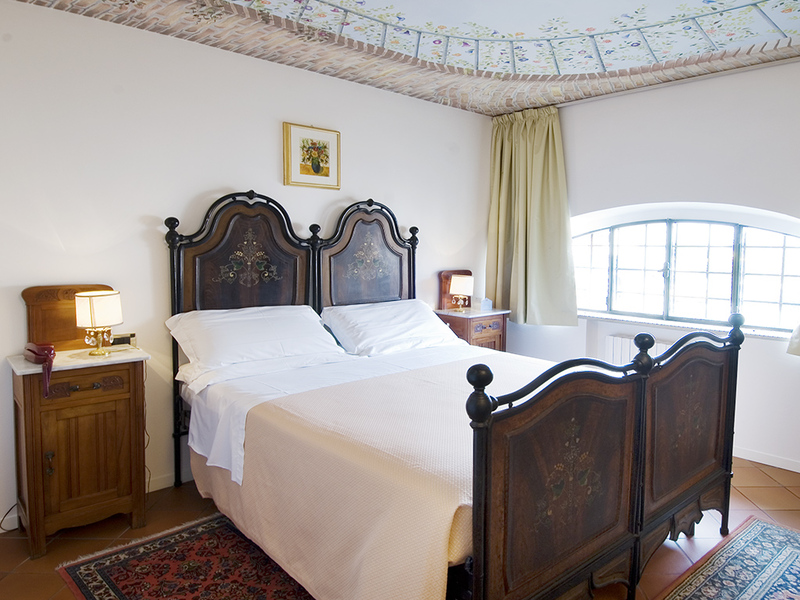 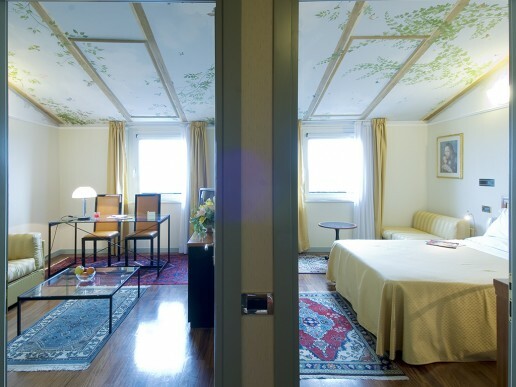 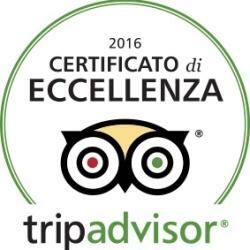 Tradition and modernity meet and give their best at the Hotel DELLA PORTA. The careful blending of tradition decor and spacious, modern comforts, together with the works of the famous poet and artist from Santarcangelo, Tonino Guerra, displayed throughout the hotel, provide an atmosphere of warm hospitality and tranquillity. 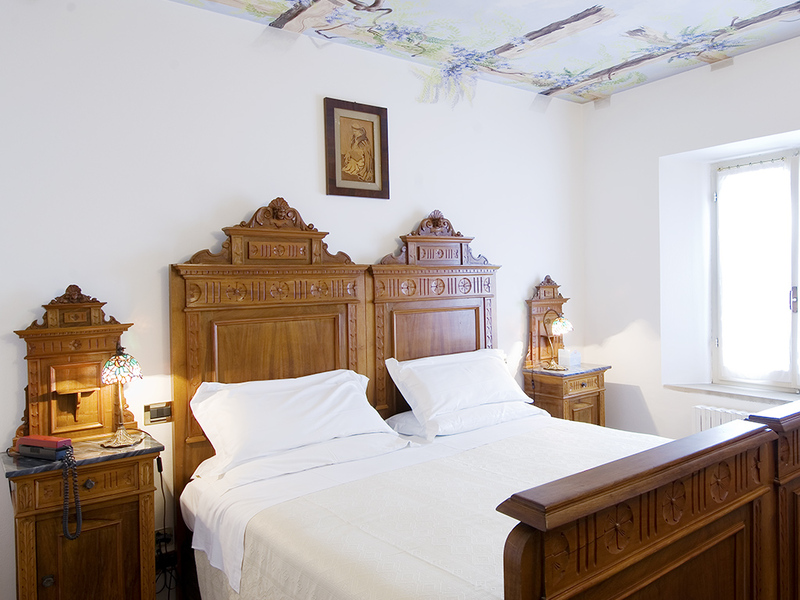 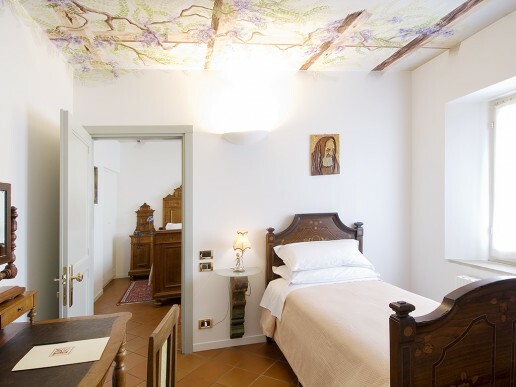 The inner courtyard, with its charming view of the old town of Santarcangelo, leads you to the romantic atmosphere of the Grapefruit and Bellflower rooms and to the Pink and Blue Wisteria Suites with their frescoed ceilings and precious antique furniture. 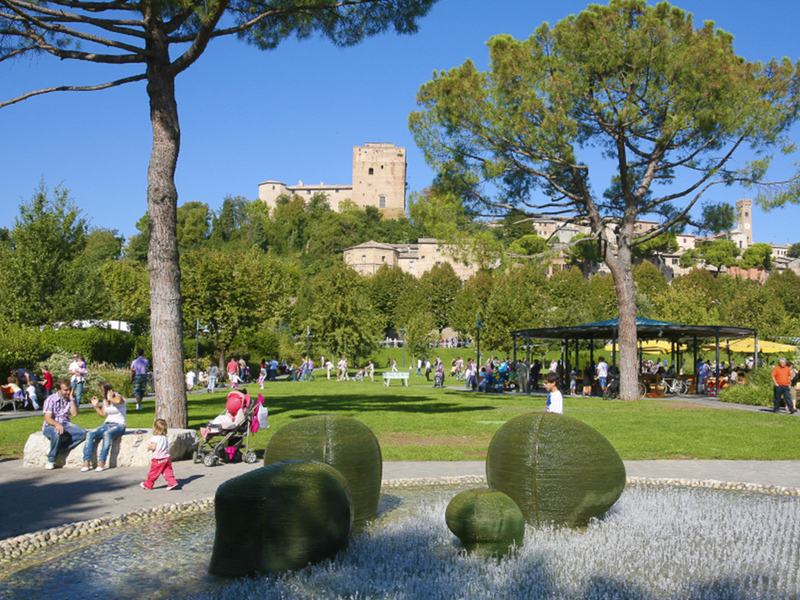 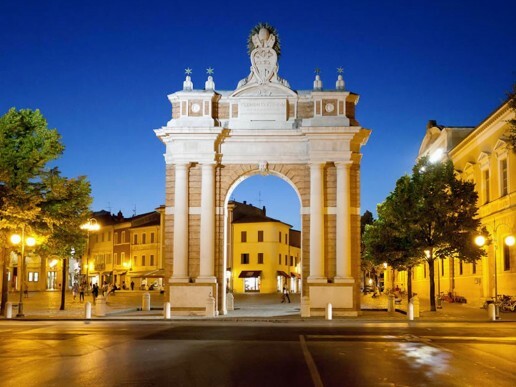 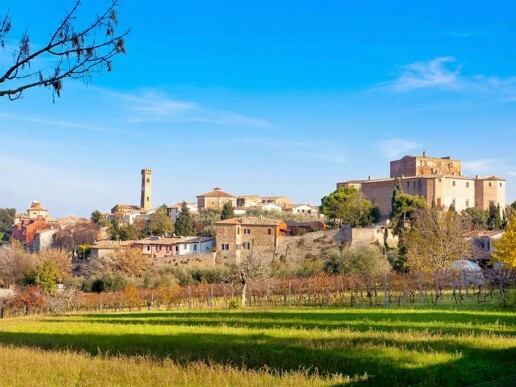 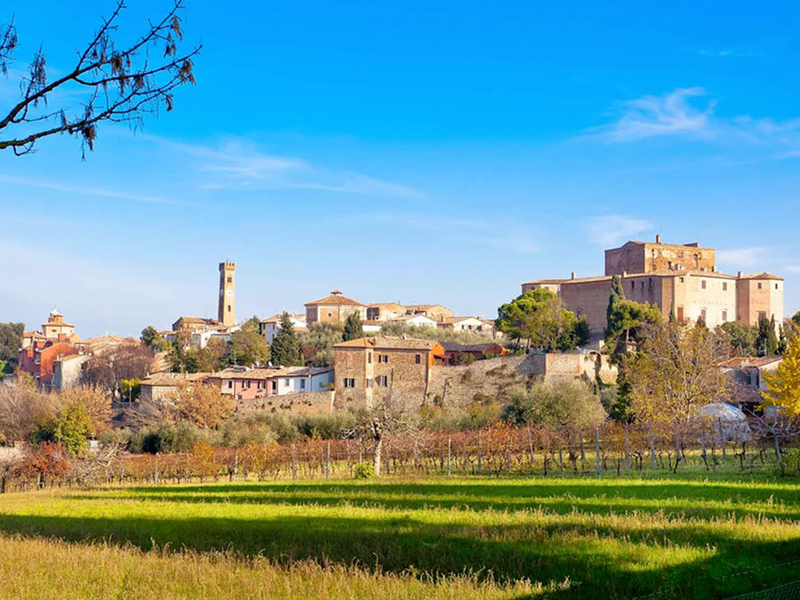 A handful of minutes from the town centre and from the Exibition centre of Rimini you make a journey through the centuries, to the medieval town of Santarcangelo. 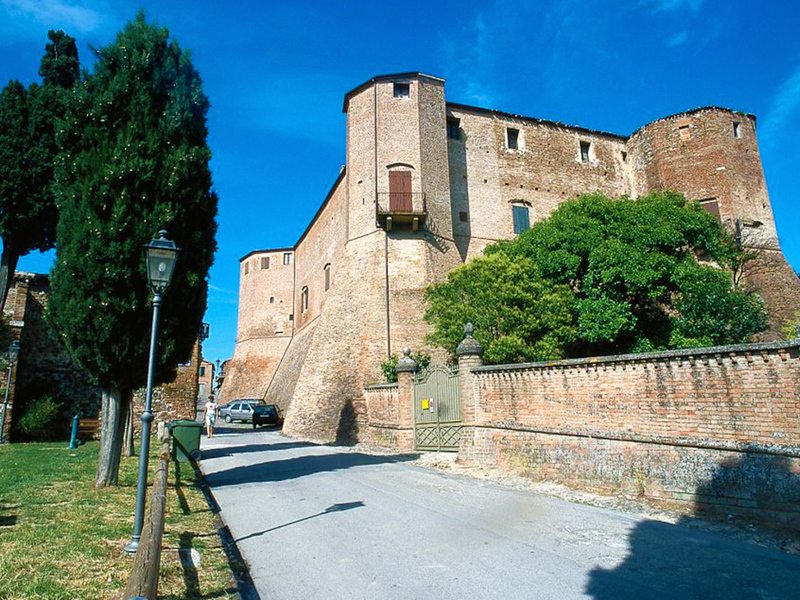 Santarcangelo is an attractive and important little town which has kept its own particolar features and has maintained strong links with its past and its traditions.The old town centre is a lively place of well-kept houses and mansions, excellent restaurants and wine bars, narrow streets leading to little squares where there is always something going on. 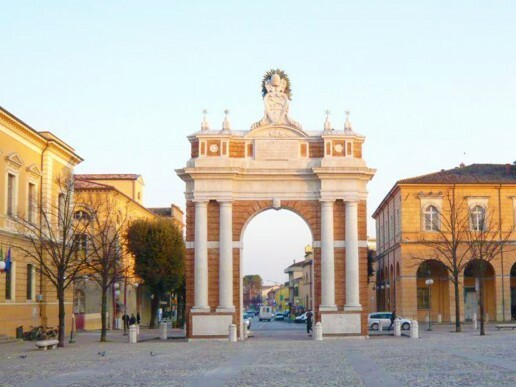 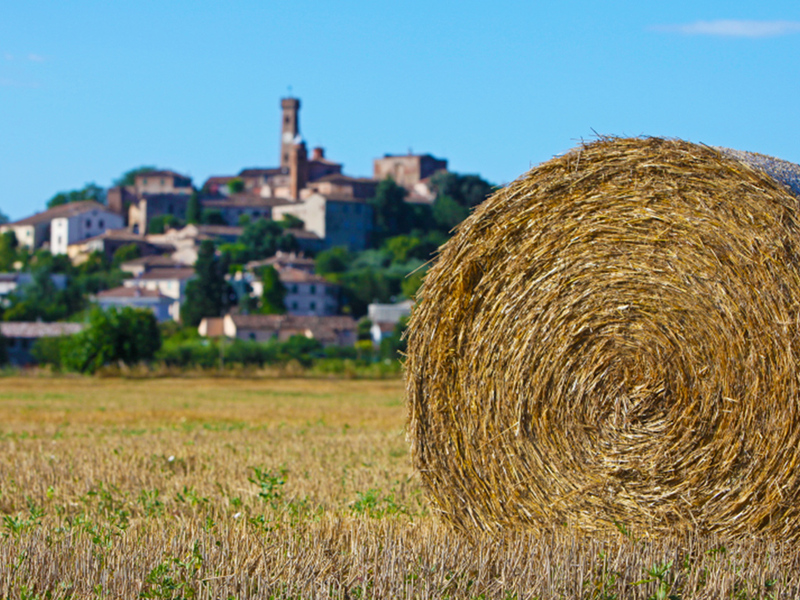 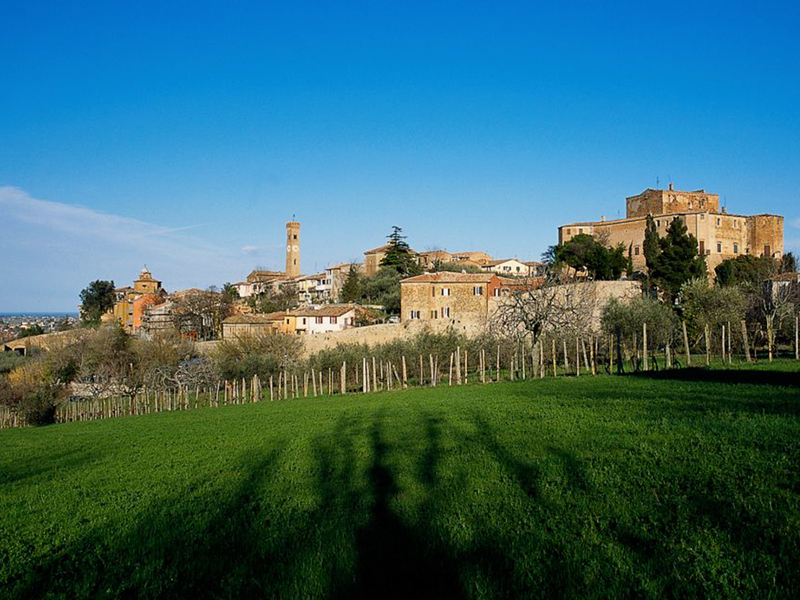 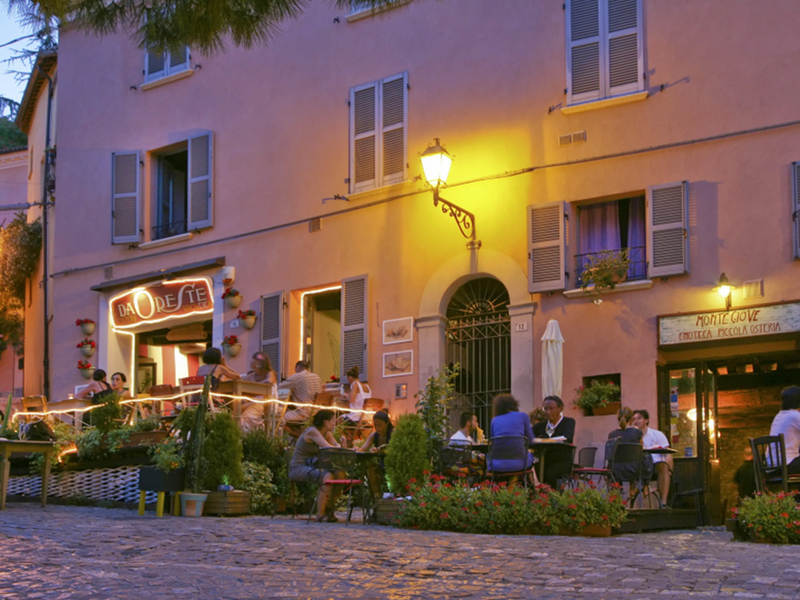 The atmosphere is that of a large village where life has kept its rhythm and its identity; visitors at once sense a “town” atmosphere which can only be Romagna. 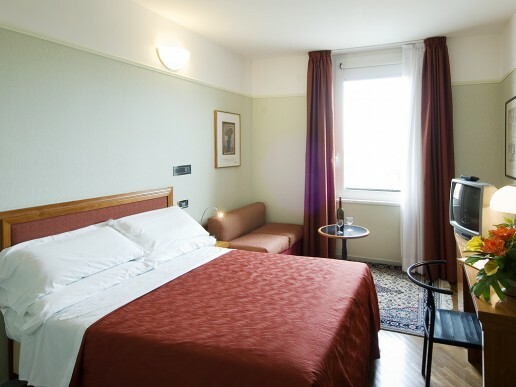 The Hotel DELLA PORTA embodies the advantages and refinements of a small structure, plus the services of a large hotel … definitely the best choice for your business and leisure guests to Santarcangelo.